The LANAP protocol is the only FDA approved technique for regenerating bone and tissue lost to periodontal disease. Dr. Brandon Frodge at Southern Roots Periodontics and Implant Dentistry in Atlanta, Georgia is one of the few practitioners in the area that is certified to use the LANAP Protocol, giving patients healthier smiles with reduced recovery time than traditional surgical methods. The LANAP (Laser Assisted New Attachment Procedure) protocol is the first FDA approved laser treatment for gum disease that has been shown to re-grow lost bone and tissue. Known to be less painful with less downtime after treatment, the LANAP protocol is a full-mouth procedure that is usually completed in one 3-hour or two 2-hour visits. A laser fiber, about the width of three human hairs, is inserted between the gum and tooth and selectively removes diseased tissue. It will not harm healthy tissue and removes the bacteria known to cause gum disease. A tiny, vibrating tool is then inserted between the tooth and gum to remove calculus (tartar) that is sitting below the gum line. Once the teeth are clean, the laser is used a second time to sterilize the pocket and remove any remaining debris. This process also causes the blood to become sticky, forming a clean seal around the tooth. At this point, healing can begin and the tooth can become stable in its pocket once again. What are the benefits of the LANAP® protocol in the treatment of gum disease? Less post-operative pain — The LANAP protocol using the PerioLase MVP-7 helps avoid cutting and stitching of the gums. As a result, patients usually have minimal post-operative discomfort. Fewer sessions — The LANAP protocol requires only one to two sessions with the dentist, each lasting two to three hours, with two follow-up visits. Traditional surgery generally requires several sessions, with subsequent visits for suture removal and additional check-ups. Quicker recovery time — Most patients are able to return to their regular daily activities immediately following the procedure, which generally requires less than a 24-hour recovery period. Following traditional scalpel & suture surgery, recovery can take two to four weeks, during which patients can experience considerable pain and swelling and may be restricted to liquid or soft diets. Am I a Candidate for the LANAP Protocol? 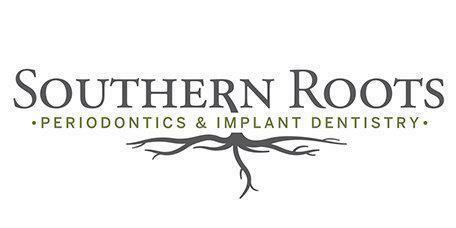 In order to determine if you are a candidate for the LANAP protocol, contact Southern Roots Periodontics and Implant Dentistry for a consultation with Dr. Brandon Frodge.